BlackBerry could make the switch to Android soon! 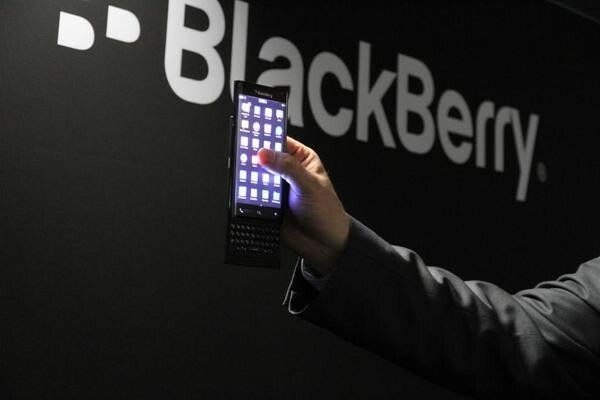 You are here: GeekSays Technology News » General » BlackBerry could make the switch to Android soon! After struggling to stay on the market for the past years, it seems that the Canadian manufacturer BlackBerry finally took a decision regarding their future. No, they’re not going to disappear, as according to numerous reports, they’re considering a move to Android for their upcoming smartphone. This would be a great choice! Of course, for the moment there’s no official confirmation, but they have all the reasons to do it, even though their latest phones can run Android apps, but after all, it’s not about what apps the phone can run, but how good the whole ecosystem is. If this will be just an experimental device, in order to see how the market reacts to this. we cannot tell though. For what we know, this mysterious device could be one we already saw a few months ago, at MWC 2015. BlackBerry introduced a new slider smartphone, with a dual-edged display, about which they didn’t gave many details, like availability date or price. According to Ars Techinca, a BlackBerry running Google’s mobile operating system would mark the company’s pivot to “focus on software and device management”. Recently, they introduced BES12, an enterprise mobility management platform, supporting Android, iOS and Windows Phone. Considering this, an Android phone would be perfect for showing how well the platform works with other operating systems. Currently, BlackBerry’s representatives declare that they won’t comment on rumors, as they are commited to the BB 10 OS, able to provide “security and productivity benefits that are unmatched.” We can’t say no to this one, guys. Finally, we’re looking forward to seeing the device, as it should be a huge boost for the brand, which is far from being the top seller from a few years ago. What do you think about this? Would you buy a BlackBerry running Android?